Link building is a key element of search engine optimisation, and the quality and reach of your website’s link profile can make or break your standing in the search engines. If your website has been around for a while, you’ll likely already have a significant number of active backlinks to it. However, you need to know where these links are coming from in order to determine their quality and relevancy. Google uses a website’s link profile to determine its authority and quality of content, and there is now a far greater emphasis than before on the quality of links rather than the quantity. Valuable backlinks are those on high quality websites containing content that is relevant to your own, while the ones you may want to get rid of are those on low quality and/or irrelevant sites, such as those used by link buying schemes. Related: What makes a good backlink? Finding every inbound link to your website might sound like a time-consuming and challenging affair, but fortunately there are many tools, both free and paid, which can help you to get a thorough overview of your website’s link profile in just a matter of minutes. These tools will help you to identify the valuable links as well as the potentially damaging ones that you should work on removing. Be aware that none of the tools mentioned in this guide are perfect, and you will probably never be able to find absolutely every inbound link to your website. However, using a combination of two or more of the tools mentioned below should provide a thorough overview of your website’s link profile by collating as much of the data as possible. Typically the most obvious place to start is the completely free Google Webmaster Tools. You’d think that being a Google product, it would be easy for Webmaster Tools to show you all your links right? Wrong! Google, in their infinite wisdom, only show you some of your links for some unknown reason. To get started, all you need is a free Google account which you should already have if you have a Gmail account or a smartphone that runs on Android. Assuming you already use Webmaster Tools for your website, just follow the steps below to find your links. Click on the link to the verified website and navigate to “Search Traffic > Links to Your Site” using the menu to the left. Your ‘entire’ link profile should now appear, detailing most, if not all of the inbound links to your website. Navigate to “More > Who links the most” to view a list of the individual domains that link to your website. And finally, click “Download more sample links” to download and save CSV file containing the data. Now you have your first list of URLs. Majestic is one of the Web’s premier link intelligence databases, making it a useful tool for both learning about your own link profile and conducting some competitive research. Majestic’s site explorer tool is free to use (on your own domain), but in order to get your backlinks you’ll need to sign up for a free account and verify your domain name. Enter your domain name into the search bar on the Majestic homepage and tick “use historic data” to go back and get as many links as possible. Review the information at the top of the report to determine how many external backlinks are linking to the website and how many individual domains are linking to it. To view a complete list of the links to the website in question, click the “Backlinks” tab near the top of the page. Select “Hide deleted backlinks” to view only the currently active links. 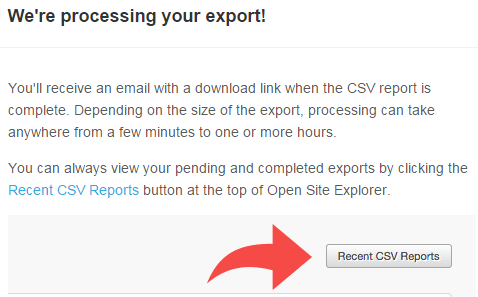 The quickest way to get all your backlink data is to run a “raw export”. So on this page, just look for the little download arrow (pointing down) in the tools tab (picture below). Now you have your second list of backlinks, so add these to your first list to create your master list. A popular tool from one of the world’s leading SEO resources, Moz, Open Site Explorer provides one of the most detailed link profile reports available. There is a basic free version, but you will need to become a paid subscriber to be able to view the complete list of inbound links to your website and to export reports to CSV. Enter the URL of your website into the URL field on the Open Site Explorer homepage, and click “Search”. Review the metrics in the top section to get a simple overview of your website’s reach and authority. Open Site Explorer collates data to provide these scores, and they are useful for comparison purposes. Navigate through the section entitled “Inbound Links” to see a list of all the links to the website you searched for, and choose only links to “this root domain”, “only external” link sources, and “all links” under link type. If you are a subscriber, you can download a report. From the administrator dashboard, click on “Request a CSV” to and Moz will process the report and email you when it’s ready to download. This is your third and final list, so add the URLs found into your master list! By now you probably have a huge list of thousands of backlinks. It’s almost a certainty that between using all three of the above methods, you’ll have a few duplicate URLs in there. 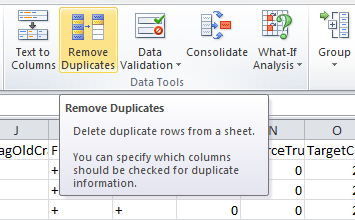 Once you have formatted all of the links the same, use Excel’s extremely handy “remove duplicates” tool to get rid of any duplicate links you have in your list. Now you have your master list, you’ll want to check that all the links are active (and not bringing back a 404 error). Unlike the previously mentioned tools, Screaming Frog SEO Spider is a downloadable desktop program available for Windows, OS X and Linux-based operating systems. The free “Lite” version provides adequate functionality for smaller websites, though for a £99 annual subscription, you can remove the 500 URI limit to crawl larger websites. To begin, you’ll first need to convert your CSV master list of backlinks into a TXT file. This can be easily done by just copy and pasting the contents of the CSV into a Notepad. Download and install the program from Screaming Frog website. Start up the program hit “mode” on the nav bar and choose “list”. This will allow you to upload a list of URLs to the program. Hit “select file” and find your TXT file on your computer. Once selected, press “start” and Screaming Frog will start crunching through your backlinks. Now, pay attention to the “status code” column. Anything that brings back a “404” status code means that web page is no longer at that particular URL, so that can be deleted. A successful (active) link will show as “200” – keep these! You can then export the list from Screaming Frog SEO Spider. Just look for “bulk export” in the top menu, and then choose “Success in (2xx) links”. This will export only the active links from your list. Any that’s it. Now you have a huge, and thoroughly cleaned, list of the backlinks linking to your website. 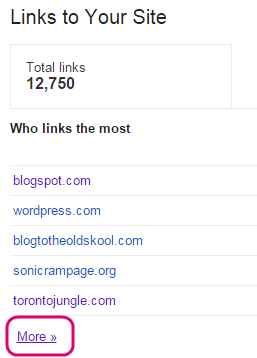 Related: Backlink sources you may not be using. Have you ever performed a backlink audit on your website? Have you ever needed to remove some potentially damaging backlinks? How do you go about finding your links? Let us know in the comments below, and give us a shout if you have any questions at all!